Sarawak Chief Minister Tan Sri Adenan Satem nonchalantly schooled Sarawak DAP chairman Chong Chieng Jen after the later interrupted him during his speech at the State Legislative Assembly yesterday. Chong interrupted Adenan’s tabling of the state 11th Malaysia Plan, when Adenan spoke of the oil and gas royalty negotiations with the federal government. 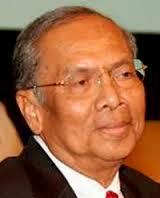 In replying to Chong’s remark, Adenan said that was not the way the state’s BN did things. “We prefer conciliation rather than confrontation. “If they agree in the first place, why should we chose to confront. “What you are inciting here is advocating confrontation. ”The more you push them to the wall, their only response is to kick you back. “Clearly this is not what we want and that is not how we get things done here in Sarawak. “And if this is the way you do things, then I believe you will never get the negotiation to the door. That’s what DAP is, don’t we realise that? They always think they are much better than BN and any other governments, and that Malaysia would be better off under their administration. Adenan has that classy way to shut such characters up! However, how many of him are there in the country?